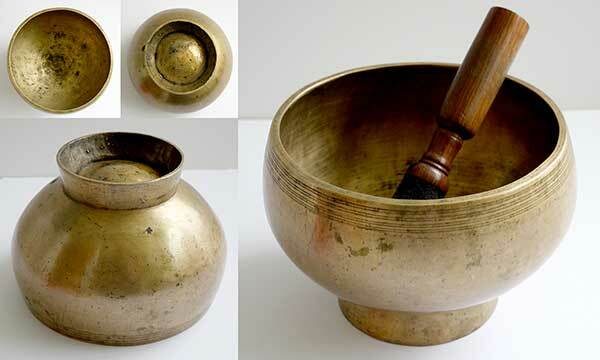 This medium size antique Naga or Pedestal Singing Bowl has a fabulous middle E fundamental (328Hz) and is very responsive and easy to play. It is a nicely forged bowl with a strong pedestal. It has a finely grooved lip and multiple decorative bands encircling the outer rim. The structural condition of this bowl is excellent, and it is basically clean and blemish free.